NB: My name is Nitin Bhandari. NB: My batch year was 1998? NB: Yes, I was an active cricket player and also was a poet. NB: School helped me form my foundation, I still remember Juile didi, Vishnu Sir and Meena didi who helped us build our personality and character. NB: Shri Dilip Vaidya was my favourite teacher. NB:After working in corporate life for 11 years I have recently started my own business of Ayurvedic products by the name Careveda. NB: Yes, I would urge juniors to focus on overall development in all spheres and not just become bookworms. Monday, 15th January: Staff had PDP Session Mr. Ajay Vijaywargi read out a thought ‘Can we Teach a Zebra some Albebra ' from the book “Can We Teach a Zebra Some Algebra “by Debashis Chatterjee”. Educators then discussed their opinions, gave their views and uploaded a writ up with graphics and photo in Alchemy of Learning. Staff wished Ms. Krithika Rao a Happy Birthday. May God bless her and best wishes for her future. 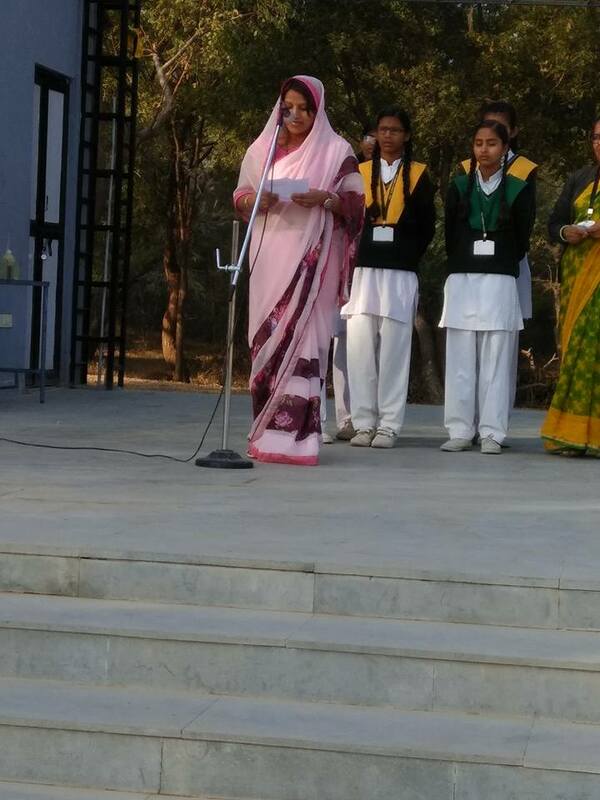 Ms. Ishu Chouhan was selected as the Teacher this Week for promoting school on social media. She gave a motivational speech to motivate the students. She said that we should have a goal aim in our life so that we have meaning of living our life, instead of just coming to school and going back home with homework. We should have a dream of achieving our goal so that we work according to our goal. We all must have a dream in our life. IC: I joined school on 26/7/2016. It's going to be one and a half year as an English teacher in the school. IC::: At first I taught Class V & VI and now I am teaching Class I, II & III. IC:: XII Class Science Bio. And now I am pursuing B. A..
IC: I would like to say few words to you, enjoy your student life you are gonna miss these days when you grow older. IC: Yes, in S.S.Public School. ED: What message would like to give to the students? IC: I would like to give a message to the students that we should have a goal aim in our life so that we have meaning of living our life, instead of just coming to school and going back home with homework we should have a dream of achieving our goal so that we work according to our goal. We all must have a dream in our life. ED: How do you like teaching in this school? How is it different from others? IC: As compared to our school not good as ours. The environment provided in our school is friendly, lovable and caring. 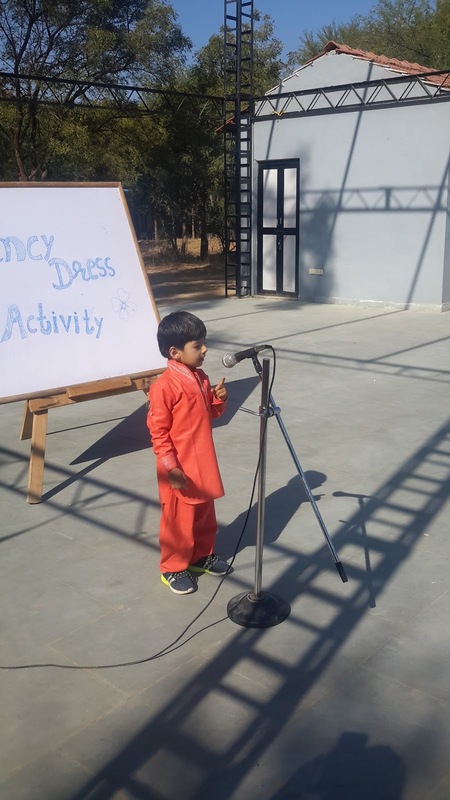 Ms. Deepika Soni m/o Yashi Soni/ III & Riva Soni/ Nursery was selected as the Parent this Week. 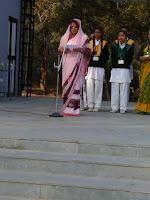 She addressed the students. Good Morning honourable Principal ma'am, teachers and my dear children. First of all I would like to thank everyone for giving me this honour. I have sent my children to this school because I love the greenery that the school have. I like the nature that the teachers provide to the students. There is a natural environment in the school which keeps the children happy. This school teaches the students how to respect their elders, how to achieve their goal and how to study. I want to share something to the students that study is not all about making good percentage. It is also about to learn something which we are studying. DS: My two wards are studying here. DS: Yes, I have achieved my goal. DS: I expect from my children to do good studies and become something great in life. DS: I expect from the school that students of this school should achieve something great in life and for that to give them good education. DS: It will be a great honour for me to return back to this school if the school gives me the opportunity. Mr. M.K.Soni visited the school as the grandparent this week. 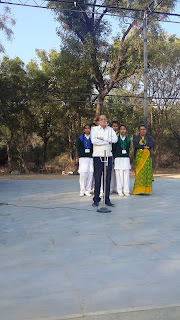 A motivational speech was given by him that education is not preparation of life, it is life itself. It brings light and amazement in our life. What is a teacher? Teacher burns itself and lights others. Teacher is concerned with past, present and future. His role with the life, surrounding is amazing. A student must be confident not over confident. A student must be prepared to do something for himself. They are living in competitive era so they should leave their comfort zone and compete to achieve success. MS: I am a retired Principal. MS: My grandson was studying here. MS: Not yet much has to be done still yet. MS:I want my children to be capable and to achieve something higher in life. MS: I want from the school much more, they should do much more for the students. MS: I want from students to leave their comfort zone and achieve something great. MS: I would like to visit school how many times it will be possible for me. I am very thankful to teachers and Principal ma'am for giving me this honour. Thankyou so much for choosing me as the student of this week. 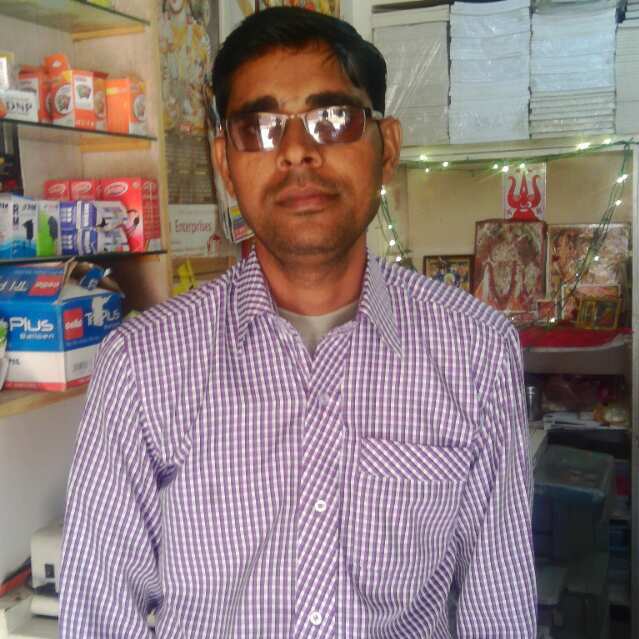 I want to give you message that whenever you get chance to help someone you should help them. Whenever I used to help others sometimes people criticised me but now I realize that to whomever I helped their blessings and good wishes are always with me and that has became my strength. We should help others by contributing towards Swachh Bharat Mission, donating something which you don't use and taking part in community service. Now, what is community service? Community service is work done by a person or a group of people that benefits others. And you do not get paid to perform community service. Like, I helped my aunt in organising functions held in her school. I would like to take few more names were with me in that service. They are Divya Chundawat, Kreena Rao, Diksha Choudhary, Krisha Dave and Harshit singh Rao. Thank you so much for being with me. 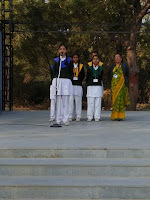 Monday, 15th January: Science Week was celebrated in the School. 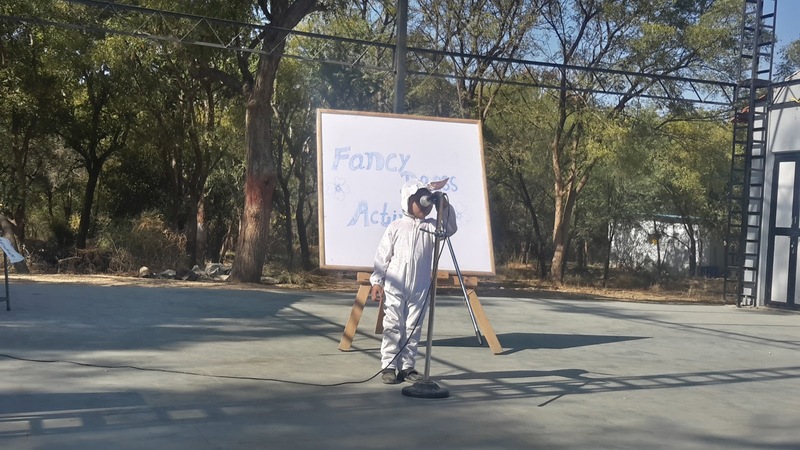 Special Assembly was organised Students did a number of activities, gave information about great scientists, science facts, quizzed the assembly and performed experiments. 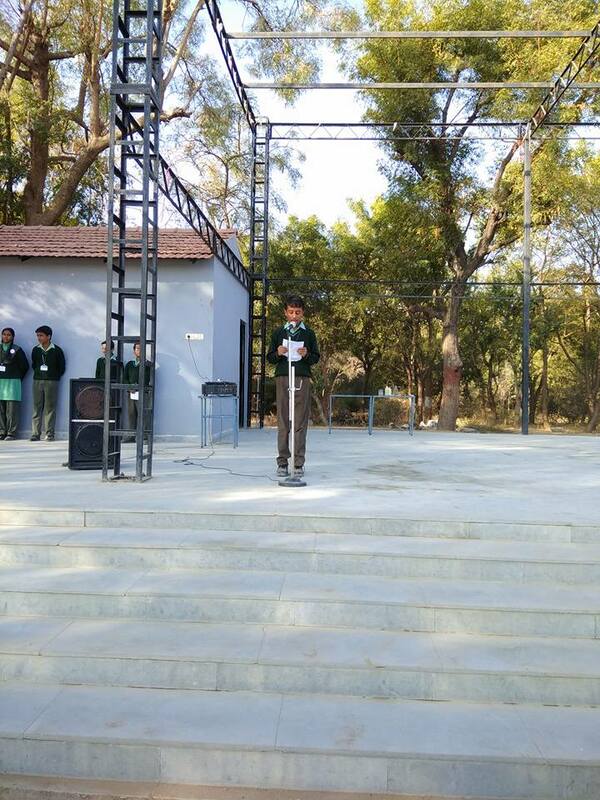 Yug Bhati/ IX/ RH: Spoke about Alexander Graham Bell. 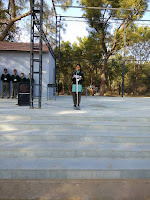 Vinita Sirvi/IX/GH: Spoke about some facts of science. Janak Devda/VI/B/TH: Spoke on sources of water. 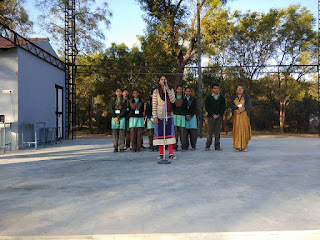 Ritu Chouhan/IX/RH: Spoke about science. Krisha Dave/IX/GH: Spoke about Neil's Bohr. Ipshita Rathore/VIII A/RH: Spoke about facts of trees and plants. 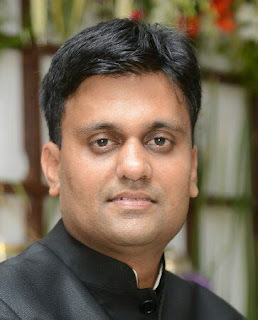 Jatin Tripash/VII/GH: Spoke about Alexander Flaming. Shubham Kumawat/VI/ DH: Spoke about Nicolson. Shruti Rajpurohit/IX/TH: Quizzed the assembly. 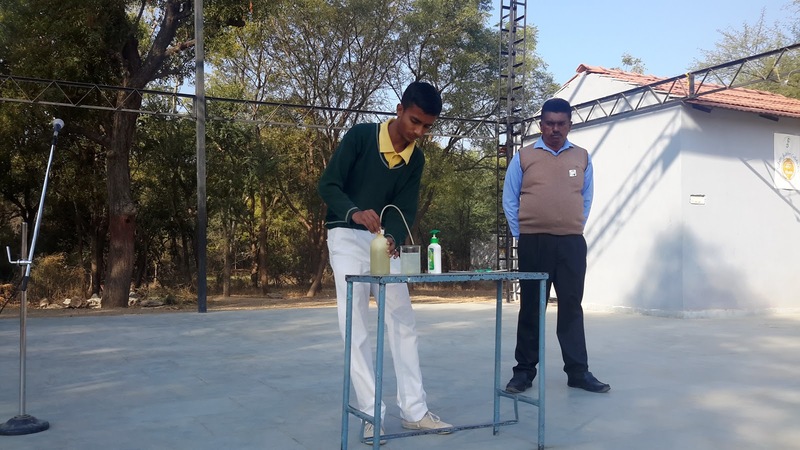 Lalkar Singh/ XI/ TH: Experiment to produce hydrogen gas. Ipshita Rathore/VIII/ RH: Quizzed the assembly. Monday, 15th January: Manmanvendra Singh Sonigra/ XI, Chanchal Choudhary/ XI and Himantika Chouhan participated in Inter School Hindi Debate Competition at HG International School, Abu Road. They were awarded with certificate of participation. Wednesday, 17th January:The School has been selected as the Change Maker School in Green School Programme. 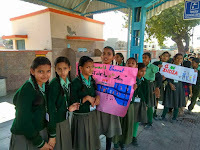 Our school was participating since last three years. We have brought changes in our school to provide clean and green environment from two thousand schools all over the country. We have been selected in the first-fifty. Congratulations to all for this achievement and especially Mrs. Prerna Rathod and her team for all the efforts they put in. Thursday,18th January: Students of Class IV-V visited Falna railway station with their subject teachers. Awareness rally was organized on the station. 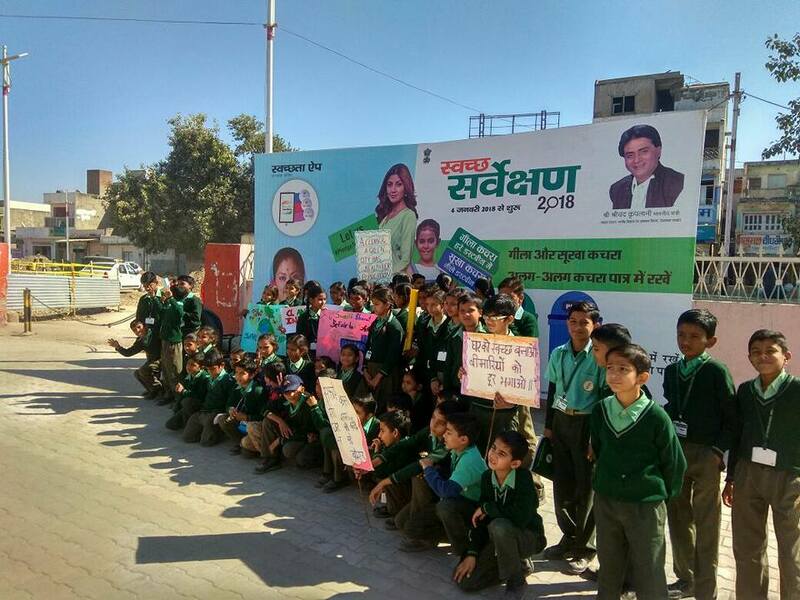 They took banners with them and also said slogans to aware the people to keep cleanliness in their surroundings and on the railway station. 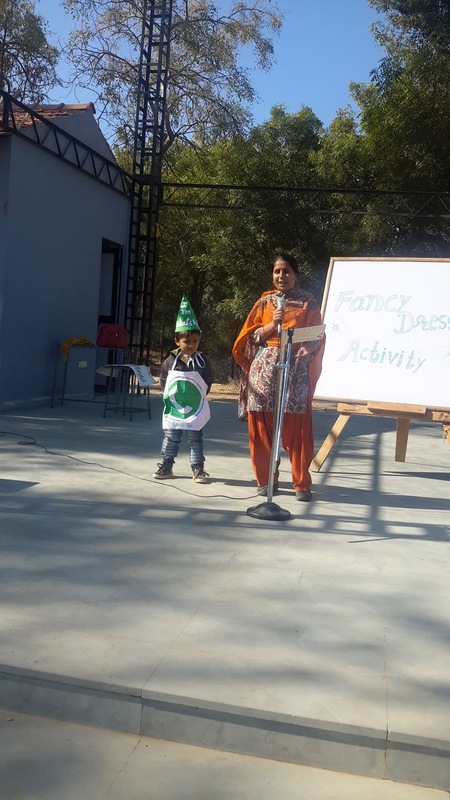 Friday, 19th January: Fancy Dress Activity was organised for the Pre-Primary Section. Students dressed themselves as Bollywood actors, animals, Hindu gods etc. They came to the stage and enacted their roles and spoke two three lines of their character.